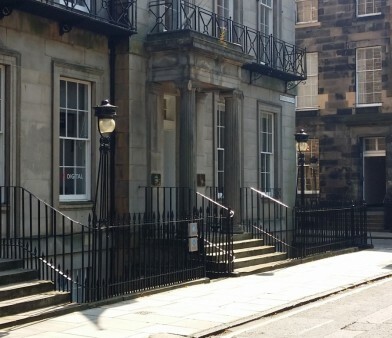 Rutland Square is the only New Town square south of Princes Street and is situated in a quiet part of the West End, a few mintues walking distance from Lothian Road and Princes Street, and Waverley (15 mins) and Haymarket (10 mins) Railway Stations. 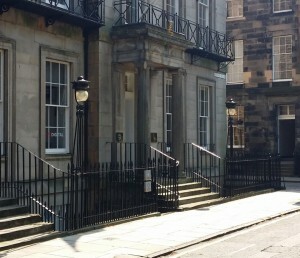 Edinburgh Therapy Practice is on the lower floor of this Georgian building. Parking is possible in the square (charges apply Monday to Saturday between 8.30am and 6.30pm).